It really is! All you need is a hook, line, pole, reel, flies or lures, boots, hat, boat, license... Well... 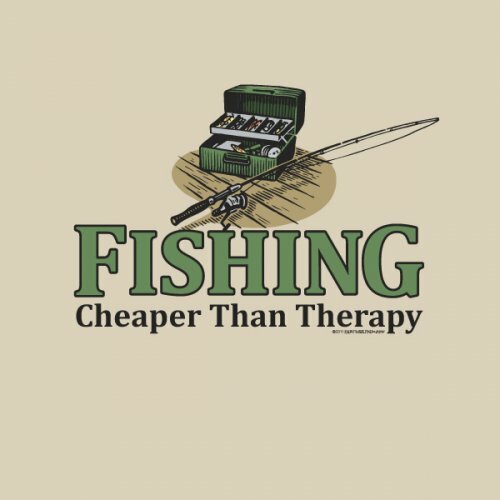 Fishing may not always be cheaper than therapy. But it's always more effective!